Goodreads: Ella and Matthew have many differences, but they share a common goal: to find the one person they are meant to spend their lives with. Kritters Thoughts: Marilyn Grey introduces this group of friends and acquaintances through the eyes of one male and one female. Ella Rhodes opened a coffee shop in hope of running into one of its former employees whom she thinks is the LOVE of her life. Matthew is having a hard time committing to his long time girlfriend and needs a push in either direction. Quite a few dramatic moments which made me feel like I was reading a soap opera. There were a things that came out of left field, kind of liked something out of nowhere in a dramatic book as that usually happens during mystery/thrillers. There is quite a turn with 10 pages left and it made the ending go in a completely different direction! The one thing that kept me puzzled through this book was the amount of time the boys spent talking about love and relationships. For me it didn't seem real, I am just unsure as to how much time the men in my life really speak about those two topics. 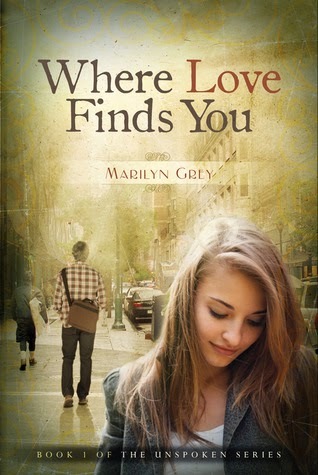 The first in a series from Marilyn Grey and I was excited to try out this new author, especially after my mom raved about the first three! You will see my reviews of the next two in the series over the next two days.